The people at TweakTown completely disassembled a new Eee PC 1000H and documented the entire process. Aside from showing you the side effects of too much tech fetish and not enough regular fetish, the article reveals all the parts of the new Eee, with a few surprises inside. Although it’s an Eee PC, it’s very different from all of its predecessors. One of the things the teardown shows is that several parts are far more modular than previous Eee PC models. The hard drive, for example, is a standard Seagate Momentus which is made for desktop systems; it can easily be swapped out. 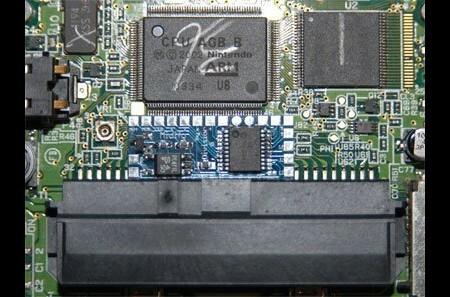 Another easily swapped component is the 1GB SIMM from ASint. Although their (ahem) stripping process was a bit unconventional, a lot of interesting information was yielded from this teardown. Keep ’em coming, TweakTown, just be sure to clean off your tool when you’re done. Consumer Reports has just released this photoset of vintage photos of consumer product tests. It includes photos of conventional products like the one above (a portable hair dryer), but also some interesting tech that never took off, like a motorized scour pad and a record player for cars. The products depicted in the set are all from before the 1970s (and remember, a few machines from back then were able to do some pretty impressive things), so whether you’re into old tech for its own sake or you’re just looking for photography of really old tv consoles, get a look. The MIT Mobile Experience lab has just developed this ambitious interactive installation called The Cloud. Located in Firenze, Italy, The Cloud is a sort of sculpture with over 15,000 LEDs and several miles of fiber optics. The tips of the fibers glow, but they also change colors in response to human interaction, including touching it or standing near it. The Cloud uses a combination of proximity and touch sensors to achieve this. It also has two cameras and a microphone, which allows it draw input from various sources and output a much richer, more organic response. 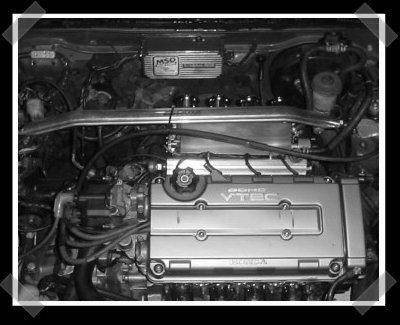 [Dem_z] modded his Honda VTEC engine to use a set of individual throttle bodies from a 2001 Suzuki GSX-R motorcycle. The fuel injection bungs on the throttle bodies were epoxied shut and the bodies were only used to provide individual butterflies for each cylinder. This one doesn’t quite make our to do list, but it’s definitely a hack. [bender386] caught my blunder first, so I’ll be sending him a bit of Hack-A-Day swag. In the meantime, here’s a little bonus: Check out this home built anamorphic lens. Native 2.35:1 projectors have started showing up, but they’re insanely expensive. By adding some image processing and a lens to stretch the projected image, you can get full width projection and use all the pixels on the projector. Evil Mad Scientist Laboratories is celebrating their second anniversary. They say they’re now 20 millicenturies old. To celebrate, they put together their greatest hits from the last year. We enjoyed their bristlebots, candyfabbing, and AVR business cards and hope to see their work for many more years to come. It looks like Uhlmann & Zacher have developed a patch to keep locks from being opened using a ring of magnets. In addition, the lock now logs successful entries without credentials in case something like this comes up again.